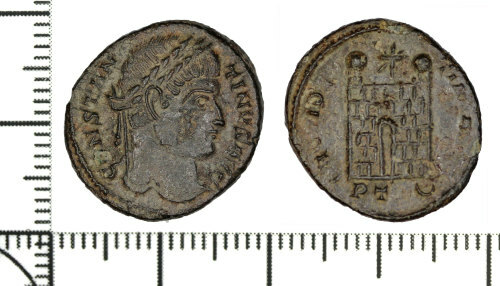 Nummus of Constantine I (AD 306 - 337) dating to AD 326 (Reece period 16). PROVIDENTIAE AVGG, camp gate of two turrets with a star above reverse type. Mint of Trier.